Samsung’s flagship smartphone, the Galaxy S II, has had a tremendously successful run with consumers since landing on U.S. shores, a prime example of Android’s continued success in the smartphone market at large. Sales of the Samsung Galaxy S II have reached 10 million worldwide, doubling from 5 million sales in only eight weeks. The Galaxy S II first went on sale in the United States in late August, launching with versions for Sprint, AT&T and T-Mobile. The smartphone had debuted internationally in April. There’s a good reason sales are going so well — it’s a solid phone. It’s got all the specs of an A-plus smartphone in 2011: a 1.2 GHz dual-core processor, an 8-megapixel camera that can shoot HD video and a large, bright 4.52-inch Super AMOLED display. 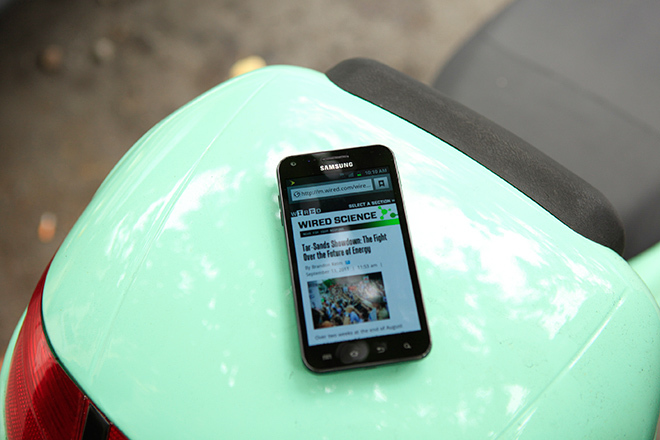 We reviewed the Sprint version, the Epic 4G Touch. The Galaxy S II’s precursor, the Samsung Galaxy S, was also a big seller, reaching the 10 million sales mark six months from its debut. The Motorola Droid Bionic, which landed in stores earlier this month, is another heavily anticipated Android smartphone that may hit some record sales numbers, but it’s a bit early to tell. The success of the Galaxy S II comes on the heels of the growing popularity of the entire Android platform. Over the past three months, over half (56 percent) of smartphone sales were Android, according to stats from Nielsen, and 43 percent of all smartphone owners have an Android (up from 38 percent in June). Google’s OS has a strong lead over its competitors: Apple currently has a 28 percent market share, with RIM in third with 18 percent. The Android platform has strength in numbers. Android phones are available on every major carrier, and there are 170 models on the market, ranging from high-end flagship models like the Galaxy S II or the Nexus S to budget models like the Samsung Vitality or the Huawei Impulse 4G. There seems to be a perfect phone for just about everyone, whether you prefer a hardware QWERTY keyboard, a lusciously large display, 4G, NFC, a gaming pad or a host of other specifications. And Android is winning out over Apple’s one-size fits all approach. Android began overtaking iOS in 2010, and knocked Nokia’s Symbian OS off of its spot as top smartphone platform in January of this year. The platform has since been bolstered by Nokia’s switch from Symbian to Windows Phone, currently a small player in the smartphone scene, and by RIM’s hold on the market continuing to slip as BlackBerry users jump ship to Android or iOS. It’s unclear if the Android market share will hold up after the iPhone 5 debuts next month, especially if Apple reaches out to the prepaid, budget phone market with the rumored cheaper iPhone 4S and broadened availability on additional carriers like Sprint. Many people have been holding out for Apple’s next release.